This Modern Geometric Etched Glass vase catches sunlight in such a beautiful way. 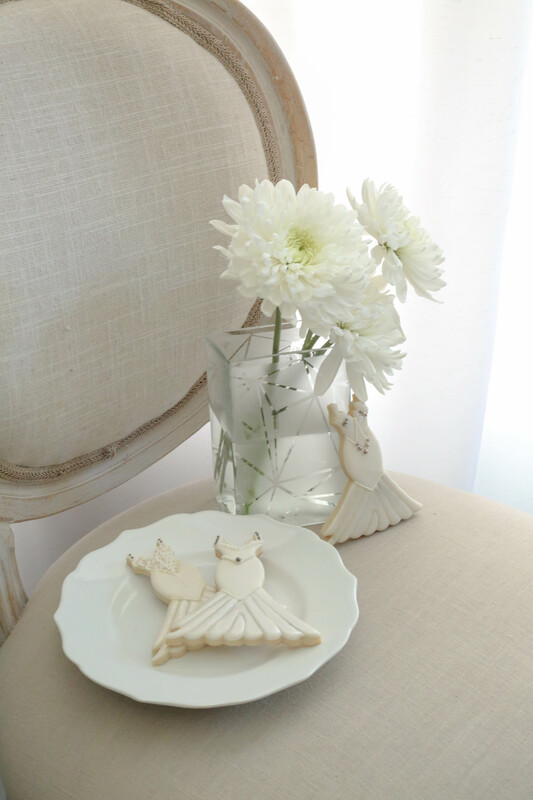 The pattern is on trend in weddings and home decor alike. 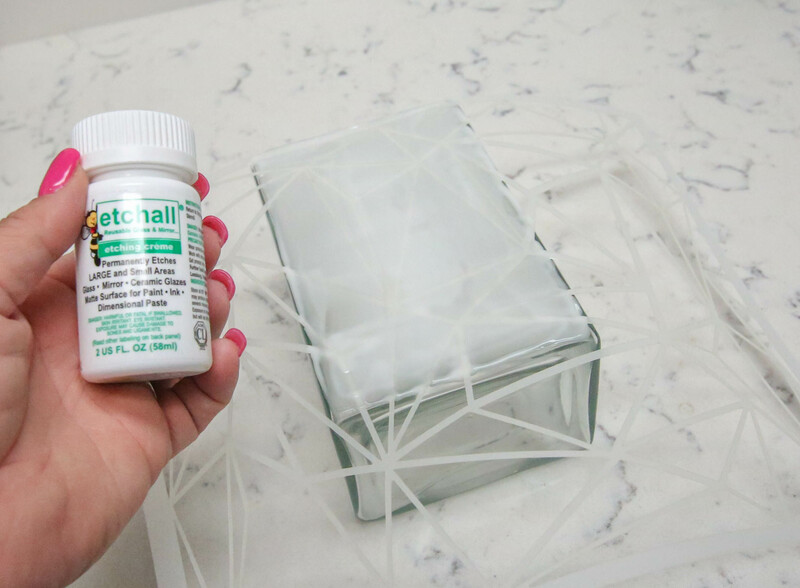 This post is sponsored by Etchall and Stencil Girl Products, which means that I received product or compensation for sharing these products and design with you. Of course, this idea and all images are my own. Truth bomb: I’m a complete novice when it comes to etching glass. Recently, I was introduced to the world of glass etching, and I’m hooked! With just a stencil and a small bottle of etching cream, I was able to create this magnificent vase, and you can too. 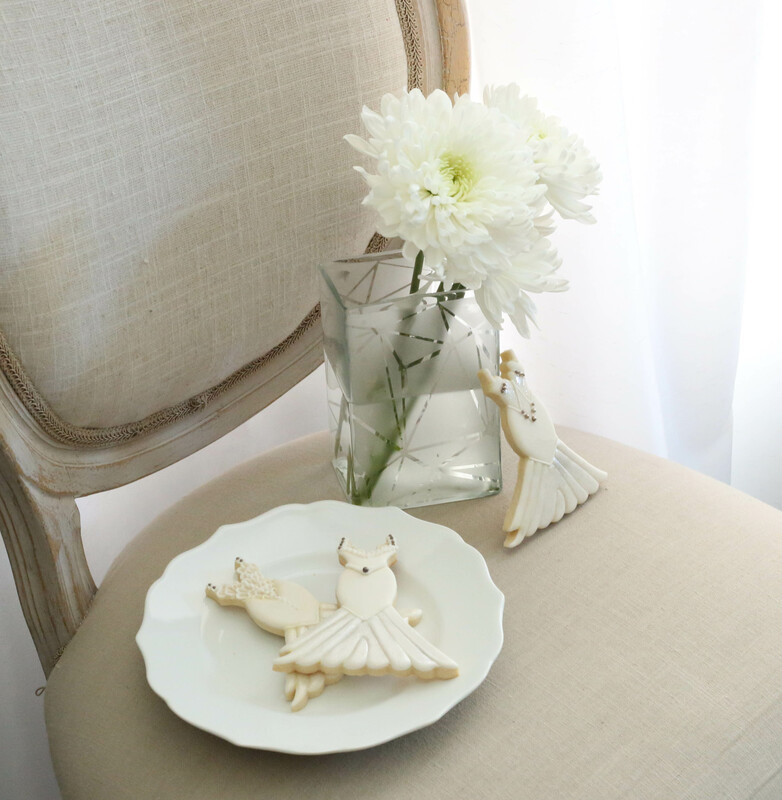 It only takes about twenty minutes to take a basic dollar store from boring and blasee to elegant and trendy. This would be a beautiful way to customize wedding centerpieces, and would also be a lovely gift for someone special in your life. 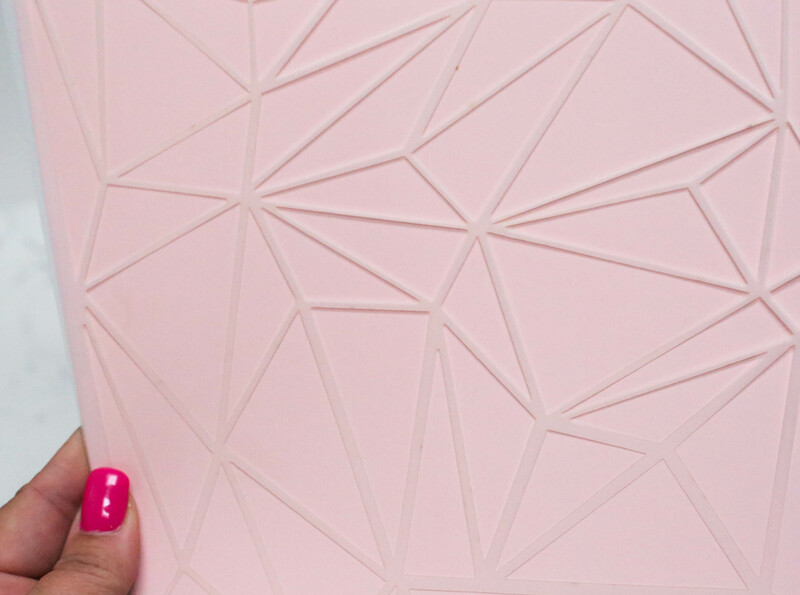 I started with this beautifully detailed stencil, called Geometric Sky, from StencilGirl Products. Love the detail in these clean lines, thanks StencilGirl! I applied the now adhesive stencil to the front of my vase, and used the etchall squeegee tool to press over the entire design. This helps the stencil to adhere firmly to the glass. Time for the etching cream! I carefully applied about a tablespoon of etchall cream to the surface of the vase, and used the squeegee tool to disperse it evenly. The etching process begins immediately, so working efficiently in this step is a must. Then, I let the vase sit undisturbed for fifteen minutes. I rinsed the vase thoroughly with water, (do this in a plastic tub, since the etching cream can damage a glazed sink! ), and dried it. Then, I repeated the entire process on the BACK of the vase as well. When I rinsed away the cream, the completed vase was nothing short of a marvel to me. It’s just like something I would find department store! 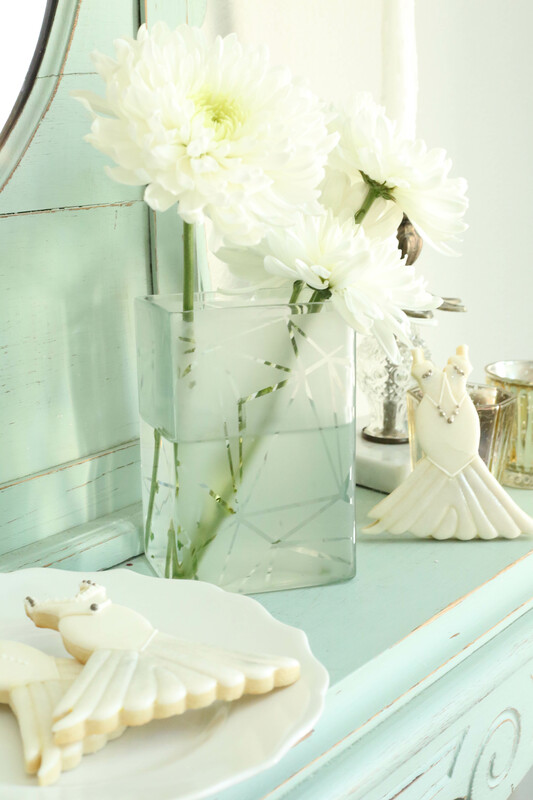 This project is so fast and simple to create, and with an outcome like this, I can’t wait to create more beautiful etched glass projects. 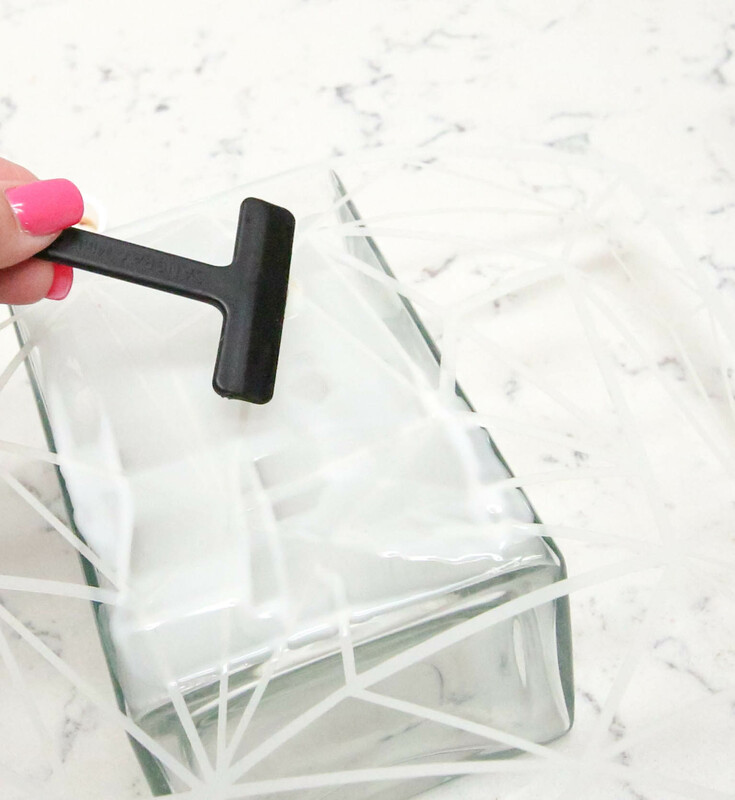 Want to give glass etching a try yourself? Just visit my designer friends who have also created fun projects for you to see, and leave a few nice words for each of them. 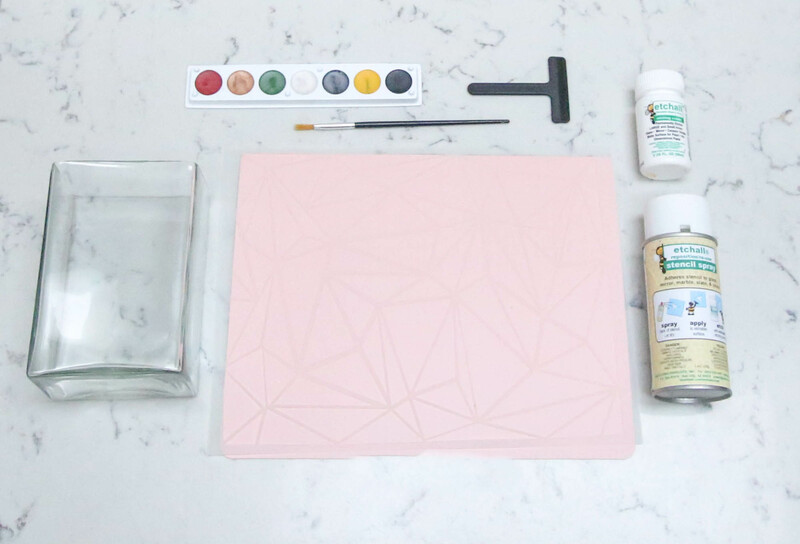 You’ll be entered to win a complete Beginner’s Etching Kit and the Adhesive Stencil Spray from etchall, plus a $25 gift card to StencilGirl! One winner will be chosen at random from all blog comments! This contest ends on Tuesday, March 20th at midnight CT. Check for the winner on StencilGirl’s Facebook page as well as etchall’s Facebook page on Wednesday, March 21! And now, on to the blog hop! Visit each of my friends and leave a comment on their posts!